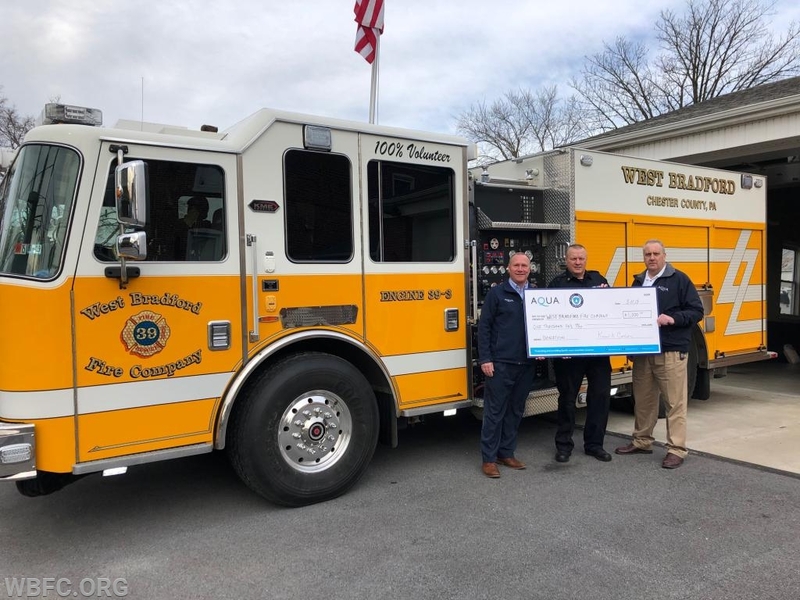 Monday morning, Chief Law met with representatives of AQUA PA to show them around the main station, briefly explain our operations and accept a donation check on behalf of the fire company. 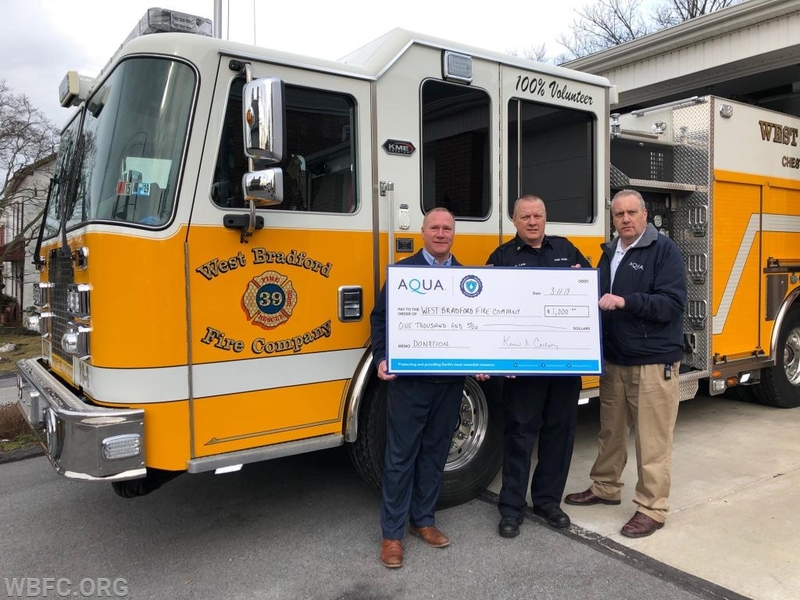 West Bradford Fire Co would like to Thank AQUA PA and their staff for their support of our organization, and the support they give to the community in providing quality water service and the infrastructure necessary to convey the water though out the area. Thank you, AQUA PA.